The NH Seacoast Region is a wonderful family camping destination. Coastal New Hampshire has a long history of providing outdoor recreation. 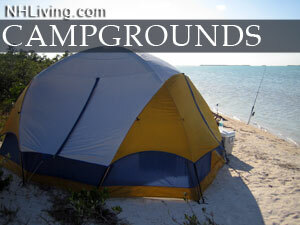 There is a great selection of truly outstanding family campgrounds, RV resorts and waterfront camping sites. Ask us about NH Campgrounds or share reviews and comments. To feature your NH campground, contact us.